The approach of August is a significant time in the lives of current and future JVs; as one year of service comes to a close for current JVs, an exciting an exciting, hope-filled journey to the Northwest begins for the ’16-17 JV cohort, who will all converge on Molalla, Oregon from August 8-13 for Orientation. To learn what this year’s Orientation will hold, read on. For many years now, JVC Northwest Orientation has been grounded in a particular theme. This theme, developed and refined by the program staff members who will support the ’16-17 JVs, is meant to guide and inspire the new group of over 150 JVs who have chosen to intentionally embrace the values of community, simple living, social and ecological justice, and spirituality. 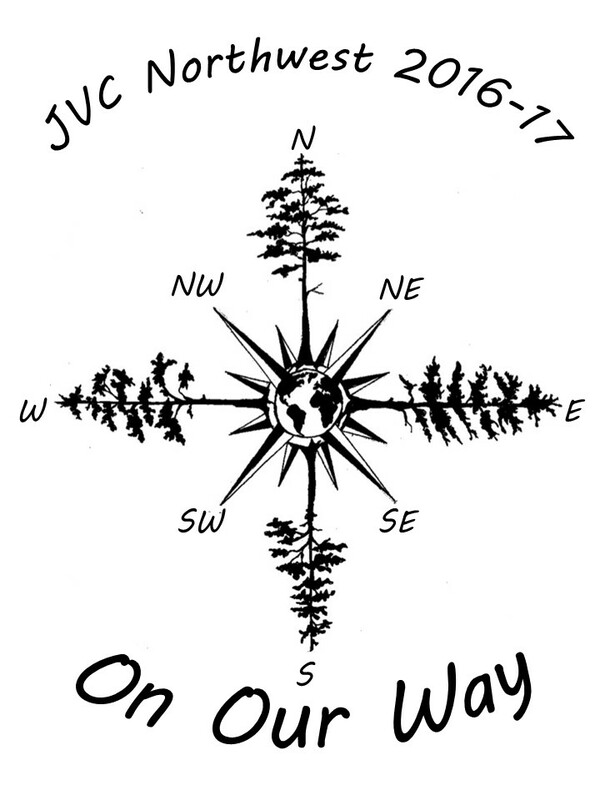 This year’s theme, “On Our Way”, corresponds with our 60th Anniversary logo, which depicts a compass: a fitting symbol, as it represents the transformative journey of the Jesuit Volunteer experience and how that experience has helped many JVs find their direction and an understanding of their life purpose. The compass holds the four core values that guide our journey and help point the way forward in our work and life. 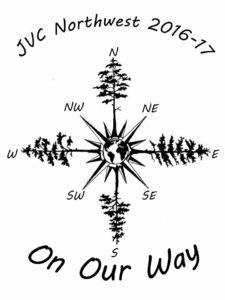 As we do each year, we invite the JVC Northwest community to join staff and JVs at Camp Adams during the week of Orientation. You are welcome to join us for the Missioning Mass and Banquet on Friday, August 12. The Banquet, beginning at 6 p.m., provides an opportunity for former JVs and JV EnCorps members, support people, Jesuits, friends, and family to break bread with the new JVs before they head to their locales the next morning. Immediately following the Banquet, the Missioning Mass, beginning at 8 p.m., is a beautiful liturgy wherein all JVs are blessed and commissioned forth to live out the four core values as they serve alongside the marginalized. Please email Zach at outreach@jvcnorthwest.org if you would like to come out at any point so he can assist you with any lodging or accommodation requests. If you need them, here are Driving Directions to Camp Adams. An abbreviated Orientation schedule is below; check it out and email Zach if you’d like to be a part of any of it! Whether or not you can make it out to Camp Adams, we are collecting letters from FJVs (handwritten or email) to give out to the JVs at the Missioning Banquet. 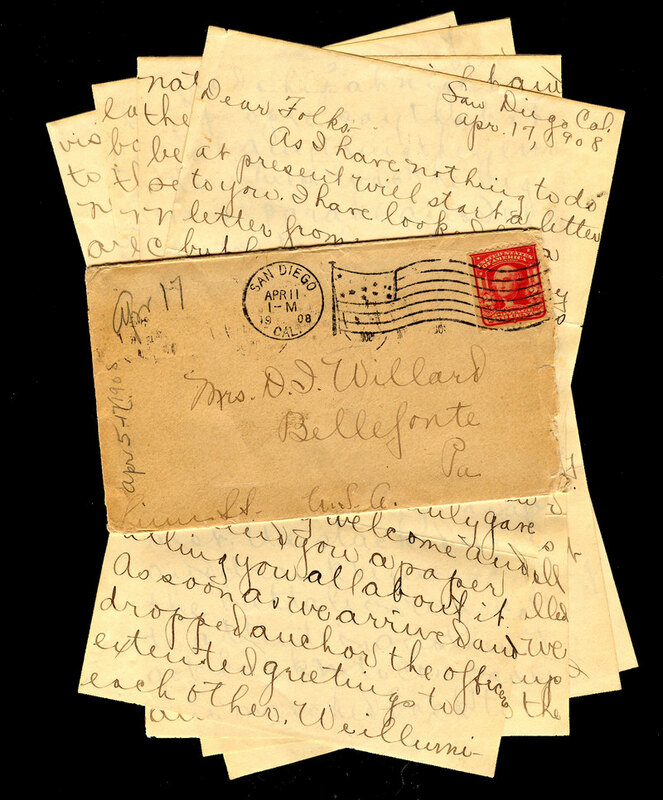 These letters can be as long as you like and can relay words of wisdom, share a story about your locale or service, or just be a general note of encouragement as a new contingent of JVs embark on their service journey. Letters must be received by Friday, August 5 to ensure they get into the JVs’ hands. Letters can be sent to outreach@jvcnorthwest.org or to JVC Northwest, Attn: Zach Reuter, PO Box 22125, Portland, OR 97269. This year we are also collecting notes of gratitude for Jesuits that are transitioning to the Jesuit retirement community in Los Gatos, CA. Some of these Jesuits include Br. Fred Mercy, Fr. Bob Fitts, Fr. Joseph Obersinner and several others. If any of these Jesuits, or others transitioning to Los Gatos, had a special impact on your time as a JV, please send us a note or letter to them and we will gather and send them on August 15. Letters can be sent to outreach@jvcnorthwest.org or to JVC Northwest, Attn: Zach Reuter, PO Box 22125, Portland, OR 97269. Just a note to let you know how much your friendship meant to me in Alaska. I am enjoying an active retirement volunteering in environmental education in Corpus Christi, Texas. Good health and many blessing of God, my friend.